We review episode 5 of season 2. I also get surprised with tickets to Halloween Horror nights at Universal Studios. In this episode of The Walking Dead, Shane and Rick argue about the time spent looking for Sophia which could be better spent supporting the group. Glenn is confused about Maggie's behavior and Daryl has a little adventure while out looking for Sophia. 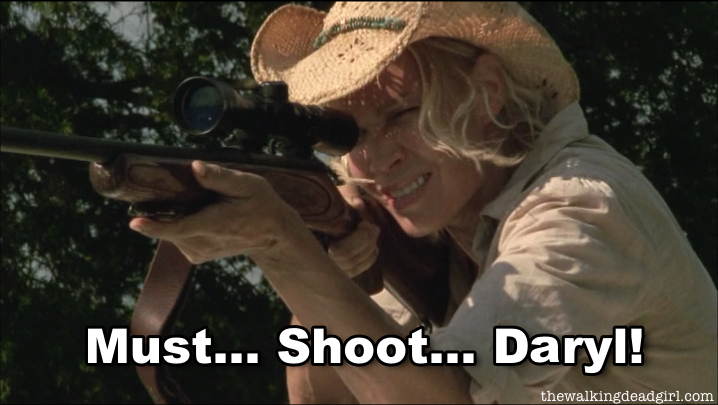 Andrea mistakens Daryl for a walker. Really?